The mission of Colorfuel is motivating, inspiring, and educating by leveraging our expertise in color. Offering creative color palette development, color educational courses, strategic brand development through color, and visual color content for brand websites and social media. We are a boutique agency and understand the need for dynamic and timely color videos that are not outside of your budget. We can work with your existing image bank or search for new images to build into quick videos that tell your color stories. Let Colorfuel help you to harness the power of color. We can create and present courses that elevate your brand to be color leaders in your industry. We can also provide educational materials to enhance your internal sales and marketing force's training in the area of color. Continuing education courses are an excellent method of providing opportunities for design professionals to add to their arsenal of information while elevating your brand's color expertise. Some examples of our work include a series of courses for Sherwin-Williams based on the color families and The Williamsburg Historic Colors Pack a Modern Punchfor Pratt & Lambert that provided the background on the creation of this historic color palette and was a means of creating an ongoing conversation between the brand and designers. We have experience creating color merchandising features marrying color and instructional information in a way that inspires and motivates. 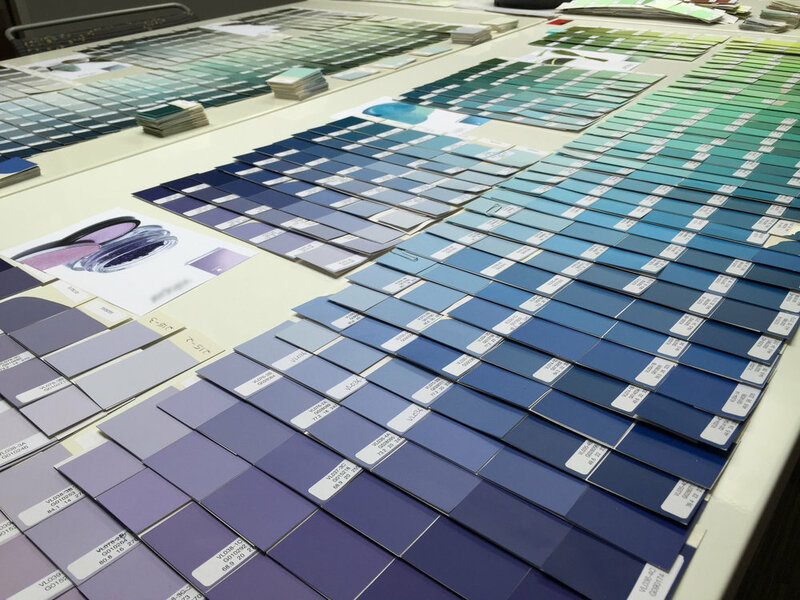 Whether it is a printed or digital feature we understand how to conquer the consumer's fear of color and engage them in a way that builds on their desire to personalize with on-trend color and finishes.